A must read for anyone who wants to know about the existence of God. What topics will this book cover? Brief history of Philosophy in the Muslim world. How to understand and apply logic - eg Can God make a stone He cant lift? Arguments for the Existence of God, including the Cosmological, Ontological, Teleological and Moral Argument. Arguments against the Existence of God including evolution, moral objections and classical paradoxes. Epicurean paradox and The problem of Evil. - If God is good, why is there Evil? Euthyphro dilemma. Is good loved by God because it is good, or is it good because it is loved by God? 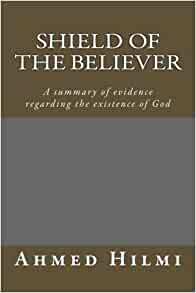 This book analyses the evidence for and against the existence of God. It initially deals with the types of arguments and forms of logic that are commonly used in discussions about God, equipping the reader with the tools necessary to properly examine the debates and points put forward by atheists and theists. The arguments both for and against God are then thoroughly evaluated, explaining how sound or rational they are, the scope of their conclusions and how we should understand them. 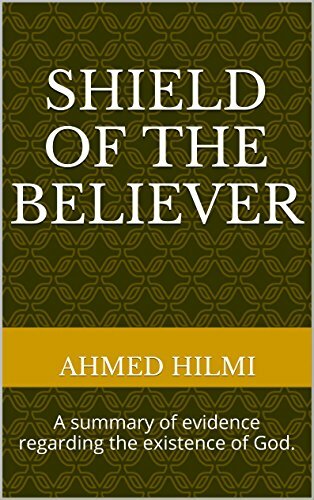 One of the great advantages of "Shield of the Believer" is that it explains the concepts and tricky language which so often prevents people from benefiting from the discussions around the existence of God, allowing the reader to not only improve their ability to critically analyse atheist arguments, but in fact any argument. Why am I following a religion? How can we expect to have a happy and fulfilled life if we do not even know what our purpose is? "It is essential to appreciate that before a person can truly feel secure in the belief of something, they should start off with a feeling of ignorance and doubt. So do not ignore doubt or tricky questions, they are the motivation humans need to search for the truth. They should be the welcomed as the spark that burns in a candle to illuminate the way to the truth. However if someone is content with ignorance and doubt, then they will never have the satisfaction and stability that being sure about our own existence and purpose can give. The problem of Evil, evolution and many other topics are covered and discussed from both a religious perspective and a purely rational one. Start reading Shield of the Believer on your Kindle in under a minute. 5.0 out of 5 starsLayman's Philosophy. A very readable and easy to understand history of the arguements for the existance of God.